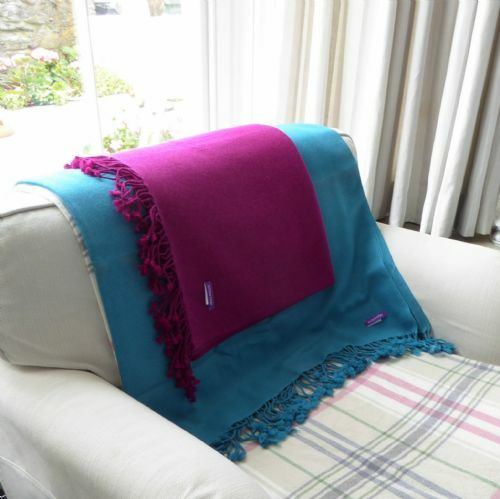 Our own label beautiful large mohair throws made in the UK are great for the home or garden, on picnics and festivals, over the sofa...or just for snuggling up with. Mohair throws are fabulously soft and sumptuous and these luxurious mohair throws made in the UK, are a great way to add colour and texture to your home. Mohair is a silky textile produced from the hair of the angora goat making these mohair throws durable, warm, insulating, and light.